I've been attending events for quite some time now. I've been to a lot of events places, from condominium units, clubs and hotels, and I'm always admired by their unique furniture pieces. And if there's one furniture that really catches my attention that would be the water fountains. Since the the creation of Japanese Zens and making it a must-have home decor, a lot of houses and the places I've mentioned above have been installing water fountains. One common fountain that I noticed and I know that you would noticed too are the wall fountains, probably because it don't requires huge spaces in you area and most of the time it give life to a boring corner or can be used as a divider in your space. It's main purpose actually, according to some Feng Shui experts, is it creates harmony inside the room. Since water is a calming element, it is perfect to put it in a place where tension is very prominent, like the living room or reception area. 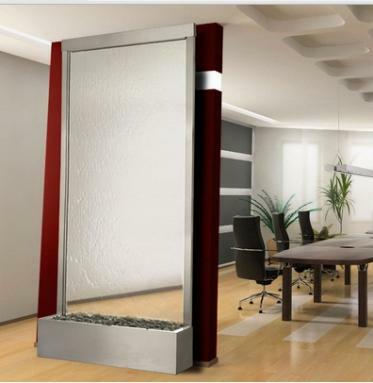 These wall fountains also come in different styles and materials. So if you wanna put outdoor wall fountains, probably for your garden, it is advisable to have it's marble or metal kind just to make sure that you'll have it forever. But if you think that you can keep having a glass kind in your garden, then I think that's just perfect! Summer is here, and one good thing to have at home is something that you can look at and can relaxes your tired mind, body and soul. 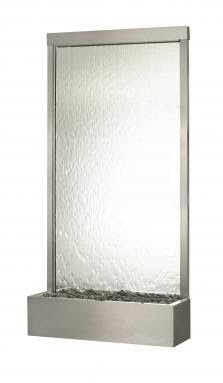 So, go ahead and shop for a nice wall fountain, and I'm sure that you'll never regret having one!